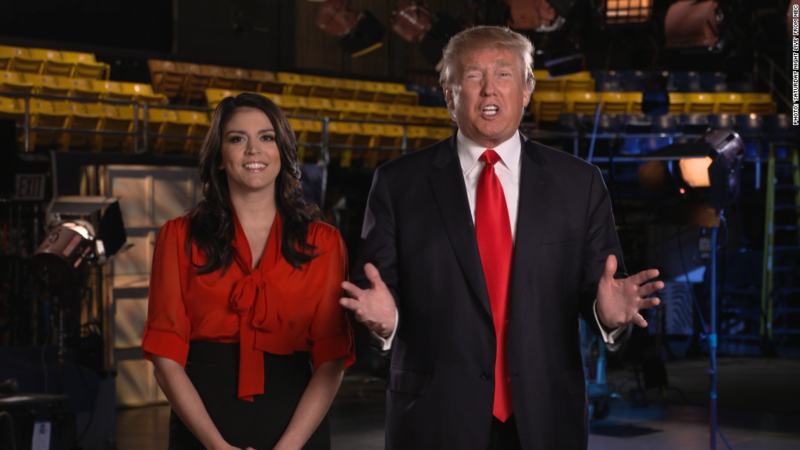 Donald Trump says he will keep the jokes G-rated when he hosts this weekend's episode of "Saturday Night Live." In an interview with Fox News' Bill O'Reilly that will air on Friday night, Trump said he made sure some sketches were left on the cutting room floor. "Yes. I had to," Trump said, according to an "O'Reilly Factor" transcript. "There were a couple that were too risqué. Because you know, the poll just came down, I'm leading in Iowa, I want to stay leading in Iowa." Trump was ostensibly referring to the latest CNN/ORC poll, which showed him narrowly edging Ben Carson among Republican voters in Iowa. Despite the skit cuts, Trump said that the remaining sketches will get some laughs. "I think some of it is going to be really great," he said. Trump also spoke glowingly about "SNL" executive producer Lorne Michaels, calling him a "terrific guy." "You like him, I like him. We all like him," Trump told O'Reilly. When he described his experience working with the show's writers this week, Trump said he couldn't help but notice the age gap. "They have 100 writers. I walk into the room, there are 100 -- and they're all about 17 years old, OK?" Trump said. "They're all young and all up in your face. But they come up with many, many skits and you pick the ones you think you like." It will be Trump's second time hosting "SNL," the first coming in 2004 when he was still host of the NBC reality show, "The Apprentice." Now, Trump returns to the show as one of the top Republican presidential candidates, a factor that could activate federal "equal time" rules for the other GOP hopefuls. NBC has also been denounced by Latino activist groups for giving Trump a national platform following his disparaging remarks about Mexican immigrants. One such group has even offered a $5,000 bounty to anyone who disrupts Saturday's program by calling Trump a "racist."